Shoes are divided into support categories: neutral, stability, and motion control. Within these categories are a varying degrees of support. We will help locate the shoe with the best support for your body. We all desire the best product possible. 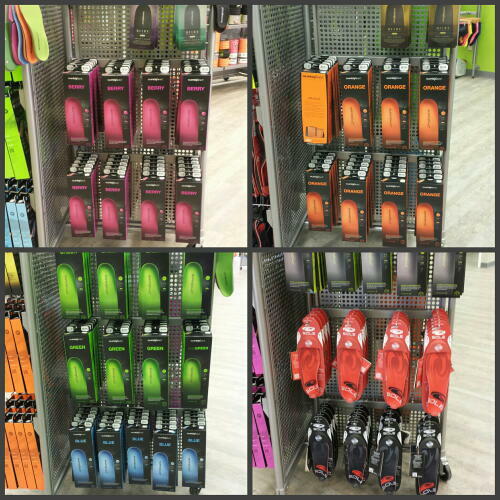 At Fleet Feet Sports Hickory we can offer you not only the best product possible, but the best product for you and your body/needs. Let us help! Fleet Feet Hickory recognizes that being in the right shoe is the first step in preventing injury and we would love to take the time to FIT you in the proper shoes. 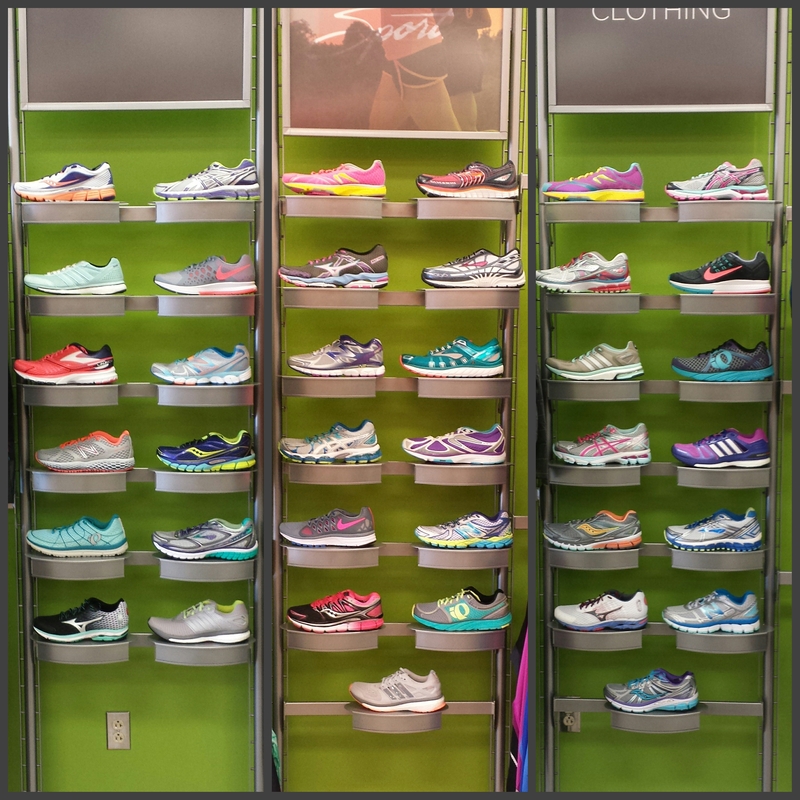 When considering what type of shoes best FIT your feet, our staff considers your fitness goals, previous injuries and we take the time to perform a gait analysis. 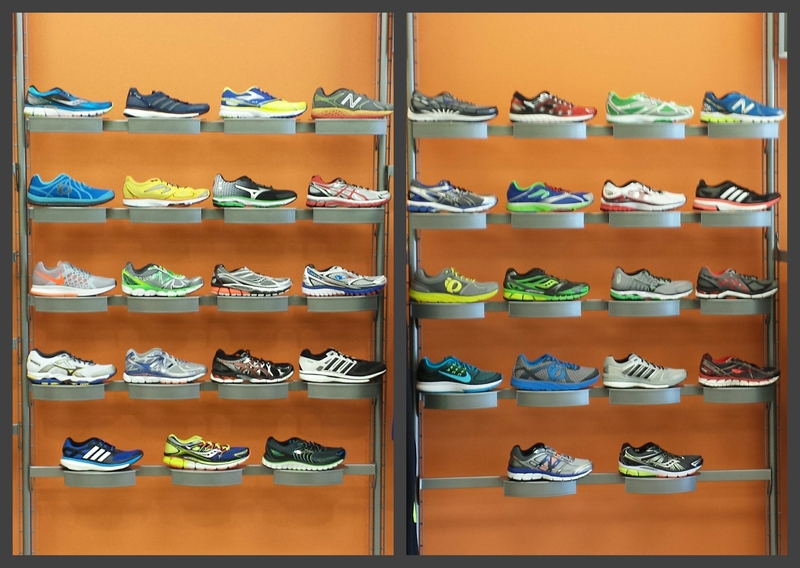 We offer a wide variety of shoes to meet your various running needs. What about inserts? Doesn’t the shoe take care of the problem? Footwear is only part of the equation. Footwear is primarily built to resist the foot – example the medial post is denser than the rest of the midsole – thus not breaking down as quickly. However it is in the midsole, under the foot, and primarily comes into play when the foot pronates. An insert matches up to the foot, providing support next to the foot and works with the shoe to slow pronation, not to stop the pronantion. Over the counter inserts such as Superfeet are neutral, they provide support by cupping (controlling) the heel and providing support under the medial aspects of the heel and help to slow the opening of the subtalar joint thus allowing the foot a better opportunity to supinate back into a neutral position. To avoid blisters and hot spots on your feet, be sure to avoid cotton socks which will absorb moisture and keep it next to your skin. 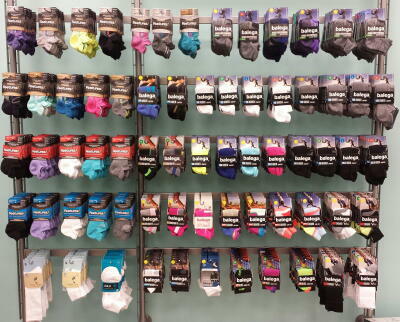 Reach for a sock with synthetic materials which will pull the moisture away keeping your feet cool and dry!